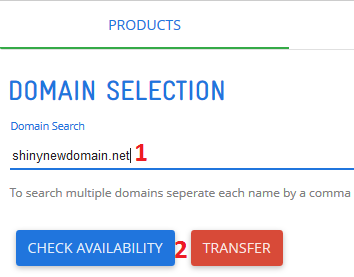 Step 2 - Click on TRANSFER A DOMAIN TO US. 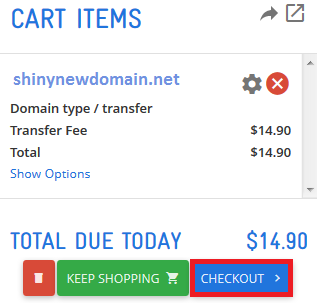 Then type in the domain name that you want and click the CHECK AVAILABILITY button. Once the funds have cleared towards your order, your transfer request will be submitted. An email from our domain name registration distributor "TPP Wholesale" will be sent to the email address attached to this domain name registration which requests confirmation to proceed with the transfer request (the domain name transfer will not be initiated until confirmed within this email). The current email address linked to your registration can be confirmed by the current registrar who should also be to update this if required. Once confirmed, please allow up to 7 days for the registration to be transferred to your account. If your email address attached to the domain is updated after you have completed your transfer order, advise us to resend the confirmation email. Ensure the domain is not locked, does not have whois privacy activated and is not expired. Any global domains (eg. ".com" or ".org") cannot be transferred if they have been registered, renewed or transferred within the last 60 days. Any Australian domain (eg. 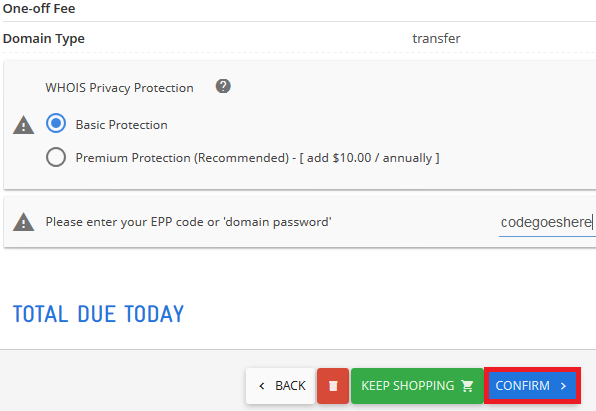 ".com.au" or ".org.au") that are due to expire within 10 days cannot be transferred. If you are unsure about any of the steps here, you can contact us at billing@digitalpacific.com.au or 1300 694 678.